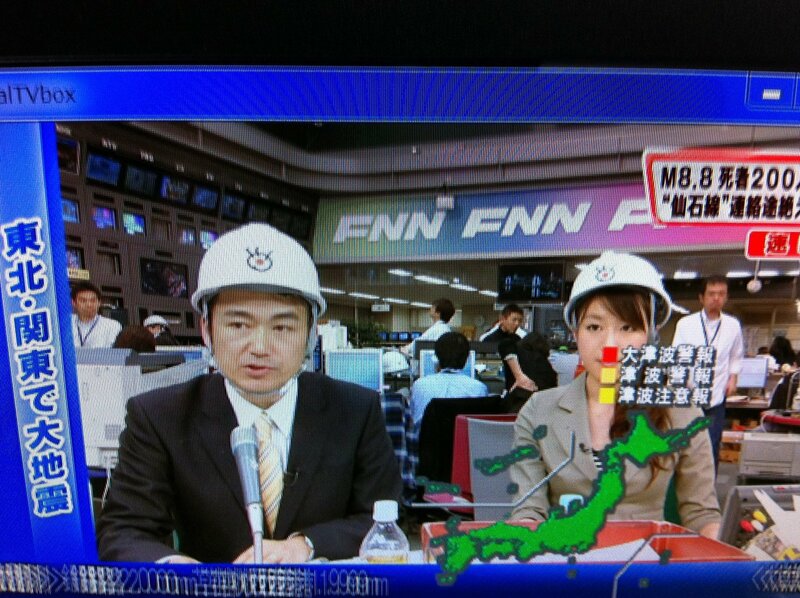 You know, even in a monster earthquake, there are things to laugh about. 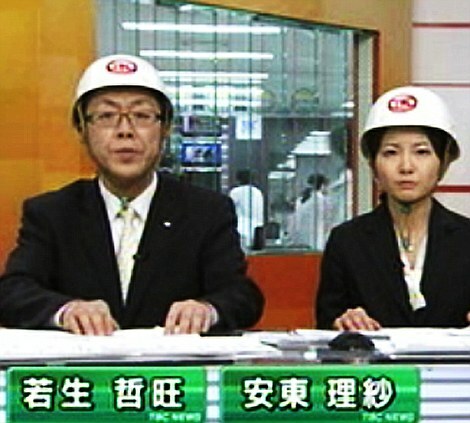 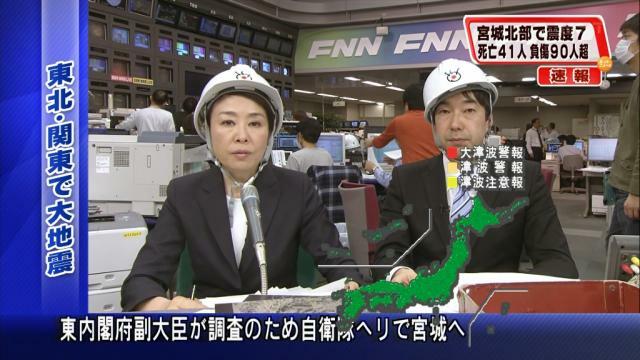 The Japanese love their uniforms, including helmets, and wear them whenever possible. Politicians put on coveralls whenever there is a disaster, and you can find numerous images of Prime Misnister Kan wearing his as he supervises the reaction to the nuclear situation... from his office. 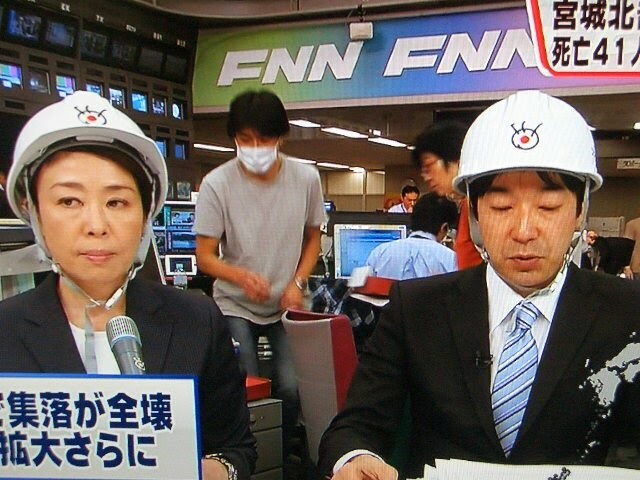 And what really cracks me up are the TV reporters. 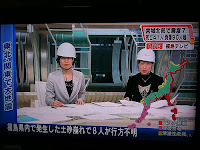 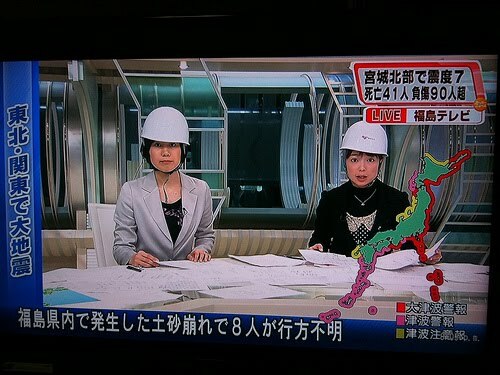 I can understand wearing safety helmets when in rubble-filled areas, especially just after the tsunami, when you didn't know if there'd be another or not.